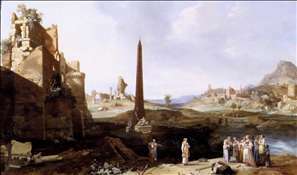 Dutch painter, with Poelenburgh the leading pioneer of the taste for Italianate landscapes in the Netherlands. 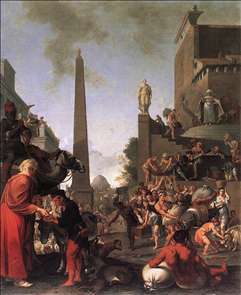 Breenbergh spent most of the 1620s in Italy and thereafter worked in Amsterdam. 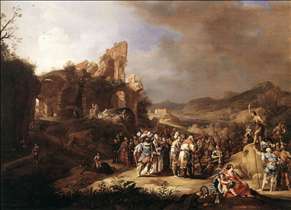 His style as a painter is very similar to Poelenburgh s, his biblical and mythological characters set in well-balanced views of the Roman Campagna, often complete with classical ruins. 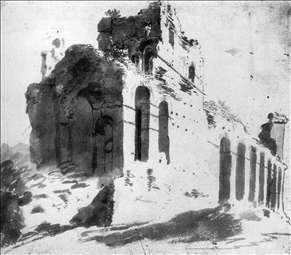 His drawings are much fresher and bolder, and have often passed under the name of Claude, as is the case with two examples in Christ Church, Oxford. Late in his career Breenbergh turned to figure painting. 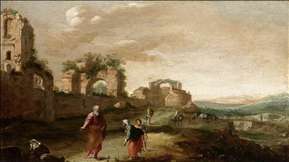 See more details about "Elijah and the Widow of Zarephath"
See more details about "Joseph Selling Wheat to the People"
See more details about "The Preaching of St John the Baptist"
See more details about "Ruins of the City Walls, near Porta S Paolo, Rome"